This is among the holiest destinations for the community of Digambara Jains. Apart from the devotional aspects, the temple, with its 400 years old history, has plenty on offer for devotees, photographers, architects, experience seekers, and art lovers. Several miracles are attached to the main idol as well as the temple itself which has twin altars. The altar in the front is made of dark red stone with the Lord Padmaprabhu in a sitting position. The altar in the rear is just 6 inches tall but is known as Chamtkarji seated in Padmasana. The English equivalent of ‘Chmatkar’ is miracle. The deity in the rear of the temple is supposed to have miraculous powers and believers hold that the white crystal idol turns pink blue when prayers are offered. The temple is open to worshippers from 5 in the morning to 10 in the night. 35 kilometers away from Sawai Madhopur is Chauth Mata Temple. This temple has a long history dating back to several centuries. The temple was constructed by Maharaja Bhim Singh during his tenure and came to be the main temple worshipped by the royal families. Visitors have the opportunity to enjoy typical Rajput style architecture in this temple. Marble (for which Rajasthan is famous) is generously used in the construction of the temple and the pillars, ceilings and walls decorated beautifully with intricate designs is a sight to behold. The temple is located on a hill top and therefore, visitors have to climb the stairs to access the temple premises. But, once you are at the top, you can also enjoy the surrounding region presenting panoramic views. About 40 kms away from Sawai Madhopur, this is among the ancient fort in the region. Lying vertically on a hill, the fort has three major entrances. Although you may notice several damaged doors and walls in the fort today, they are attributed to what happened inside the palace within the fort, rather than external aggression. Sisodias, the Mewar kings who reigned over this region for long are also renowned for winning every war they fought from this fort. 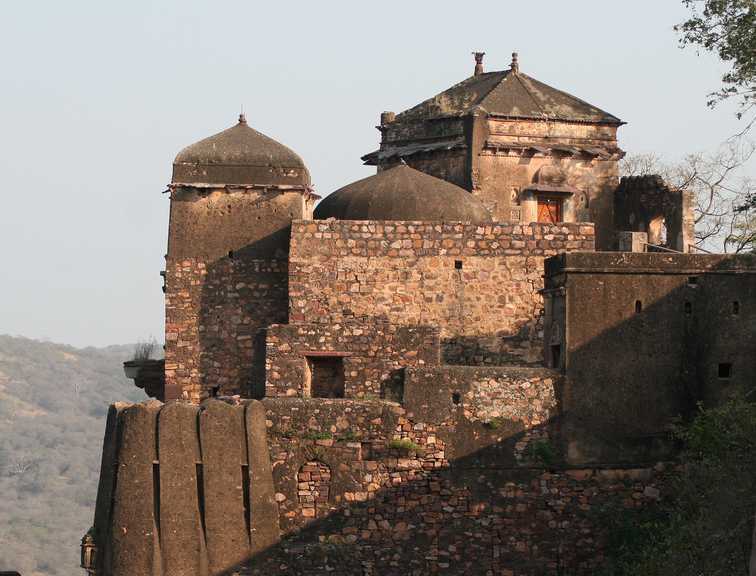 As is customary with the rulers of yesteryears, you will also be treated to a series of temples within this fort. Although these temples were originally constructed as places of worship for the royal families, in modern times, they have also become seats of exquisite beauty, rich carvings all around and ancient architecture in all its glory. Padam Taloa derives its name from water lilies which you can see aplenty in the lake. The edge of the lake is also home for the beautiful and famous Jogi Mahal. Early in the morning and around the sunset hours, you can also see large number of animals around the lake. If you are lucky you may also spot the “Chinkara” along the lake. 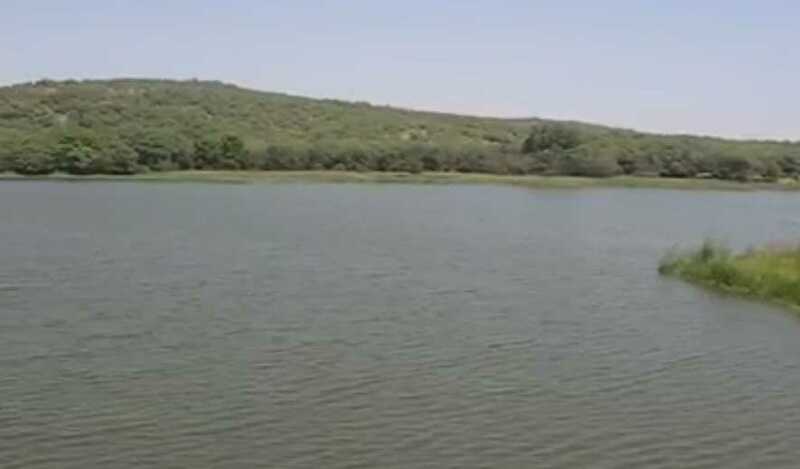 The lake is also renowned for the” lake hunters” of Ranathambore, the tiger Genghis being the most legendary among them. Padam Taloa is also the largest among the lakes within the National Park. The Ranathambore National Park is the jewel of Sawai Madhopur and the most renowned among National Parks in north India. Lying about 130 kilometers from Jaipur (the nearest airport) was the hunting ground for the royals during the pre-independence era of India. For the modern day visitor, wild life photography constitutes the major attraction of the park. Spread over 1300 plus acres, the park boasts of 60 plus tigers in its precincts. Notably, two new cubs have been added in March 2014 and they are of Ranathambore origin. Ranathambore Fort is housed atop a hill affording an aerial view of the whole park extending to several acres. This is also by far the only place where you will use your legs to reach the top of the fort. But, you can bet that the experience could turn out to be pretty exciting and refreshing. The big cats made it all the way up there and that should give you a clue. A pair of binoculars and a camera is considered useful at this site. You can catch many birds and animals at close proximity and the historical as well as interesting architectural elements at the fort also provide good photo opportunities. There is more to explore in Sawai Madhopur for visitors with plenty of time and energy at their disposal.